Our Magnetic GPS Car Tracker won’t let you down. It’s wireless (doesn’t require fiddly installation) and has up to 60 days battery life. It’s easy to attach to vehicles with a powerful magnet and waterproof case. It also comes with a car lighter charger. 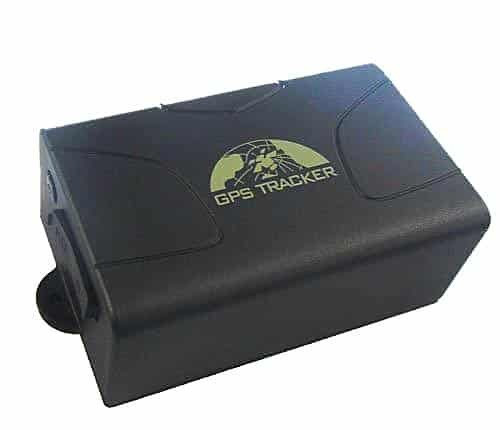 The Magnetic GPS Car Tracker is perfect for any vehicle, whether placed inside or outside the chassis. Buy Today for £189.99 (excl VAT) with a free pre-installed SIM and UK Tracked Delivery. Plenty of help is available, via the online help portal or getting in touch. NO hidden costs, contracts of subscriptions – just pay your own standard SIM usage. 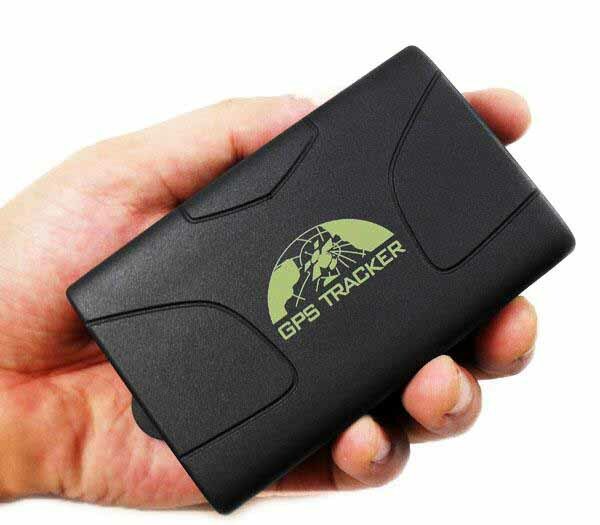 Free to set up and use, only 10p per month data cost from the GPS Tracker’s SIM. You might have particular needs and questions about your GPS Tracker - so dig in to further details around usage and functions. At the shopping cart stage, you can choose to add a free pre-installed SIM to your GPS Car Tracker order. 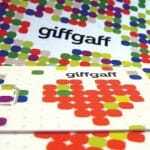 We install SIM’s from GiffGaff – a popular and growing SIM network in the UK who use the o2 network. We recommend you check first that coverage for o2 is good for your area. A full step-by-step guide is given on a welcome sheet with the GPS Tracker on how to activate the SIM (you will create your own online account with GiffGaff when doing so). When you activate the SIM with £10, you will also receive another £5 free credit on top. If you wish to use your own SIM – for example you have a different stronger network for a rural area, or you have a SIM lying around with credit that you want to use – then you can install your own. The GPS Car Tracker is not locked to any particular network, and we only pre-install SIMs to make life easier. The costs are very cheap – please read more about SIMs and Ongoing Costs here. Please see the full page about SIMs and ongoing costs here. Texts and calls to the GPS Car Tracker will be included in your own mobile’s standard text/call rates – although you won’t be charged for calling for a text location (as it doesn’t answer the call). There are no more ties, fees or charges to pay us. You aren’t locked into a contract with the SIM provider. Setting up online tracking is free. The inbuilt rechargeable battery lasts for up to 50 days on standby. Regular text locations / GPS activity / online tracking uploads will reduce the battery life accordingly, so the time between charges will vary. The GPS Car Tracker will send you a low battery text when the battery is running low. It takes about 6-7 hours to fully charge, using the included wall plug charger. When you activate the SIM inside the GPS Car Tracker, you will have a unique phone number for it. You can share this with anyone who can then call it to receive a location by text. Three users can be authorised to receive text alerts (e.g. geo-fencing, speed, low battery). If you set up online tracking, then you can share the username and password for anyone to access your online tracking account. You can also share a “This is where the Tracker currently is” bookmark URL which doesn’t require a login, so anyone you share the link with can see the current location of the GPS Car Tracker. You’ll then receive your GPS Tracker via Signed For mail. We do our best to dispatch orders as soon as possible, often they arrive the next day. Inside you will find a welcome sheet explaining how to activate the pre-installed SIM card, with simple step-by-step instructions that only take a few minutes. You’ll then have the unique phone number for your new tracking device. Also inside the box you’ll find the main manual, with a spare in case you want to share with another relative or carer. There are clear instructions for everything you need to know – but if you do get stuck – no problem – we’re here to help. If after a brief trial you decide that its not suitable for your needs or situation, then again just get in touch and we’ll arrange for a return. Otherwise we’re confident you’ll find it exceeds your expectations and delivers that much wanted peace of mind. 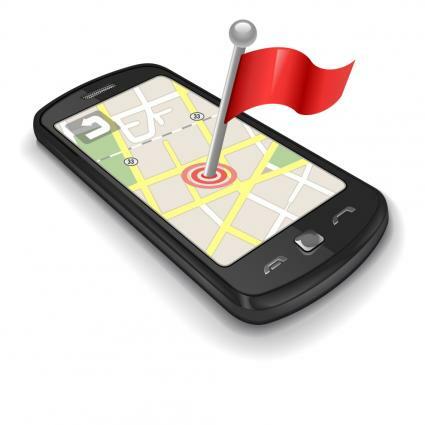 GPS signals are available all over the world – the only limitation is cell network coverage and 2G availability. We pre-install GiffGaff SIMs (more info here) for UK customers, which have very cheap international roaming rates, and no roaming fees for EU, so they’re ideal for local holidays. However, this device is 2G device only, and therefore will not work on some networks in Canada, Australia, NZ or the US. These countries are pushing heavily towards 3G devices. You will also need to ensure that you source a SIM from the country you’re planning to use it in, if outside of EU. Switching SIM cards is very easy – the slot is under a rubber seal. You can call the GPS Car Tracker (with a single ring before hanging up) to get an instant reply to your phone with location coordinates – clicking on the link in the text takes you straight to the location on Google Maps. The GPS Car Tracker can tell you when someone drive too far – and also exactly where they are. This can also be useful for theft alerts – if you set the radius to be very small, then you’ll be notified once it leaves the area. With a simple text command, you set a radius from wherever the tracker happens to be when the function is set (e.g. home). If the GPS Car Tracker then strays beyond that set limit, then an alert warning text is sent to up to three alert phone numbers. You can also set the geo-fence to alert you if it goes into the area, rather than out of it. So if there’s a particular place you want to be alerted if someone visits, then this might be useful. This is an optional feature that you can use. The GPS Car Tracker can continually upload its location to a website that you log into – which makes tracking even easier. E.g it can also be very useful to see what path a driver takes – whether a vulnerable adult, an employee or a friend/relative borrowing the car. We provide a step-by-step guide with the GPS Car Tracker on how to get set up for online tracking, and it takes just a few minutes. Some customers find this easier than texting the GPS Car Tracker for a location. When you log in, you can view the last 30 days of the GPS Car Tracker’s history. You can select by date to see the tracker’s movements. Each point on the map carries a date and time, so you can see exactly when and where it went. Most other Vehicle GPS Tracking companies charge for online tracking – up to £30 per month subscription. We give this feature for free! So take advantage while you can. If you choose to have a free SIM pre-installed in your device, then it only costs about 10p per month for data use from your pay-as-you-go credit (this is because the data packets are very small). There is a tiny microphone hole on the side of the GPS Car Tracker. A text can be sent to enable listening-in, so that when you call the device it connects with the mic enabled. This is discrete and makes so sound whatsoever on the GPS Car Tracker. For a usable sound quality, it would need to be installed inside the cabin of the vehicle. Your GPS Car Tracker package comes with plenty of accessories. SOS button – attached on a cord, to be placed near a dashboard. If the driver is lost or involved in an accident – pressing the button sends an SOS alert to the main programmed mobile phone number. This could also be used for less urgent needs – e.g. letting someone know that you arrived at the destination. GPS accuracy can reduce or be lost altogether if the vehicle is heavily covered (e.g. a multistory carpark, garage). GPS signal will also be affected by where you place the GPS Car Tracker. An optional antenna is included to boost the signal if the device is installed inside the vehicle. As the GPS Car Tracker uses a SIM and relies on mobile networks to make and receive texts, there may occasionally be blackout periods where the network is lost (as with any mobile phone, e.g. if there is a local mast tower fault). 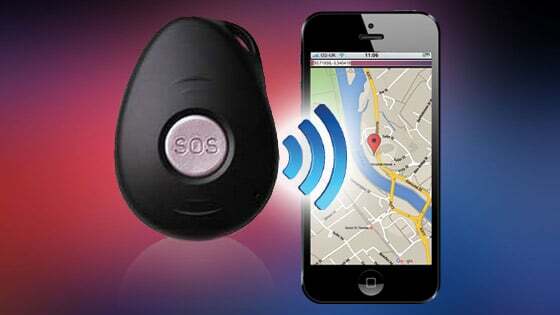 Therefore, relying on the GPS Car Tracker shouldn’t encourage a situation where a person would be in danger without it. The GPS Car Tracker preserves battery life by going into standby between location requests. Sometimes when locating, it might not have had a good enough chance to acquire a signal. You may occasionally need to request a second location if the first isn’t successful. 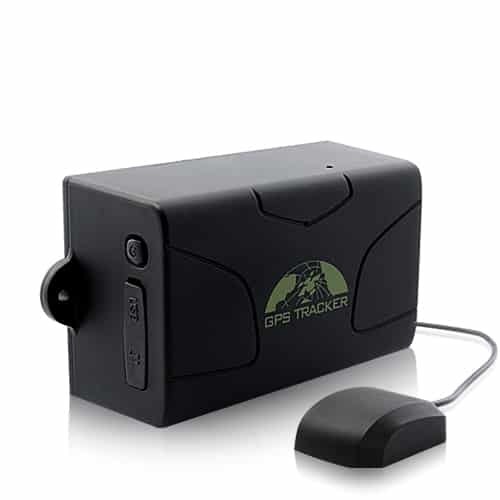 You might also be interested in our Stray Star GPS Tracker for vehicle tracking. It has the same functionality with a reduced battery life (2-5 days) so might be suitable for less frequent usage.